A wedding in any other place is just a wedding but one in the MIA is a whole different experience. This makes it prudent for you to find the best wedding rings Miami. Still, the issue most brides might have is weeding through the endless array of choices to find the right one. Do not worry, the following guide should help clear your mind and lead you to a ring that will excite you. When people think about their wedding ring, some don’t know where to start. So it is best to break the ring apart. The first thing you want to do is choose the band’s color and material. There are several materials, including the one most associated with a wedding ceremony, which is gold, but gold is not the only option. Platinum and white gold are popular enough. Furthermore, it seems that a growing number of brides and grooms are looking to stand out from the crowd with materials like black zirconium; just be sure to stick with your wedding budget. Platinum is particularly expensive, though it is beautiful, scratch-resistance, and durable. The next thing to pay attention to when it comes to wedding rings Miami is the ring’s shape. The shape or design of the wedding ring is much more than aesthetics; it also about comfort. What you should remember is you will be wearing two rings when the wedding ceremony is over. Both of these beauties need to feel and look good together. There are many designs that could fit just about anyone’s wedding budget like the curved or fitted wedding ring. This is the most common and usually comfortable design as it is form-fitted to you. Those who want something a little more risqué might want to take a look at Z-shaped wedding rings. The wedding ring’s profile might be something to look at, too. Some people prefer the court-shaped profile, which is rounded throughout the entire ring. Others want a flat profile, which helps highlight the stone on the ring. Now comes the part that most are excited about when it comes to wedding rings Miami, which is choosing the stone. Try not to make the mistake of thinking that it is all about the size of the stone, especially if you are trying to stick to a wedding budget. The key to the right stone is the cut of the stone and the shape that you are going to choose. Sure, most people think of a diamond when they think of a wedding ceremony. That might be the best choice for you, but trends are changing. Many couples are opting for different stones like a ruby or an emerald. The most important thing to remember is to get a stone that speaks to you. After that, you can worry about the cut. The cut is what helps the precious stone sparkle due to its numerous edges. You can choose round-cut or square-cut, which are the two most popular. You can also simply use the marquise-cut, which is also popular but a little more prestigious. Or you can try for a brand-new cut, just as long as you talk to your jeweler. Keep in mind that unusual cuts usually means glamorous and may end up costing more. As you can see, breaking down the ring makes it a lot easier. 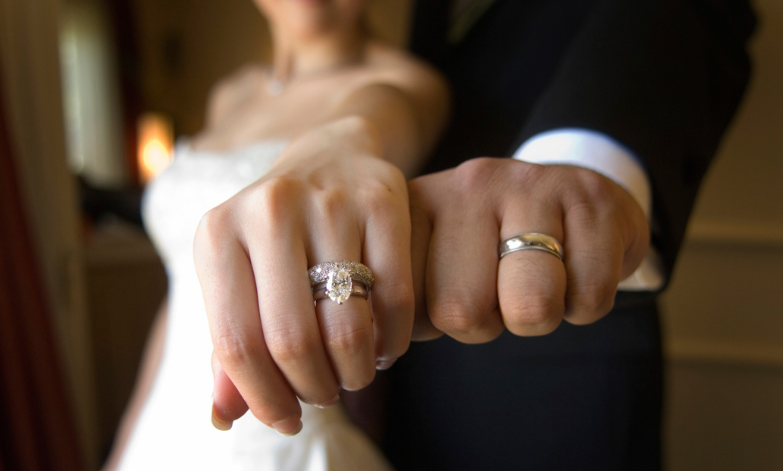 We can help you to find that perfect ring for that special day and beyond.